Brilliant weather for the Acoustic Festival of Britain at Uttoxeter Racecourse. We did a set on Friday on the Town stage in the market place (followed the belly dancer) then did another set later in the day in the Dome on the festival site. Lovely atmosphere there and we’ve met some interesting people. Day off today then looking forward to doing another set on Sunday afternoon at the festival site. 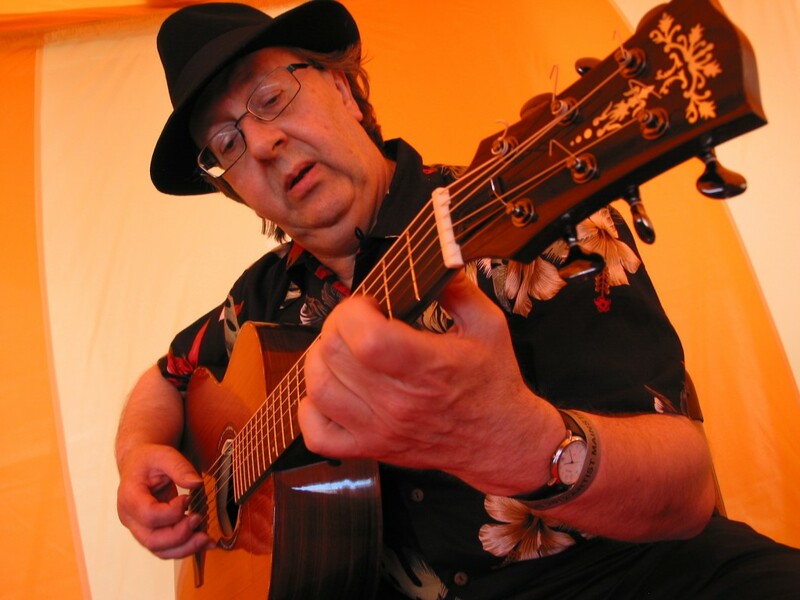 Did a set in the Festival Eye Tent on Sunday then Steve did a guitar demo/workshop which was well received. PLUS, Steve’s got a new hat ……. I think it suits him! Just watch out if he starts carrying a violin case …. 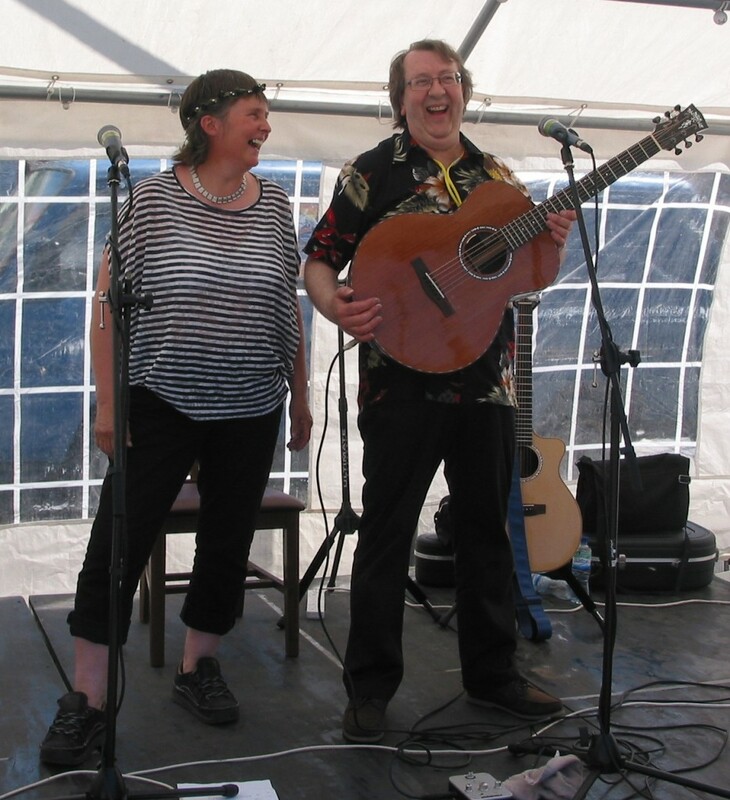 This entry was posted in Uncategorized and tagged Acoustic_Festival_of_Britain, Steve_Hicks_and_Lynn_Goulbourn, Uttoxeter by admin. Bookmark the permalink.